So my process for doing this was quite simple; I started a Challonge tournament page, put every episode on the “list of participants,” and organized a Round Robin tournament. For each match-up, I picked which episode I liked better of the two and at the end, I had an overall standings of all the Season 1 episodes. My number one fear in doing it this way was that I might have ties, where I may have picked one episode over another, but then picked the latter for another match-up in which the former lost to, creating a scenario where three episodes had the same score. However, this scenario thankfully did not happen and everything came out in a perfect 1-13 table. This format may not work for future seasons, just because there are way more episodes to consider, so I may come up with another method to do this, but for this season, since it worked, I’m going to roll with it. As I said in my initial review, there were a lot of things about this episode that rubbed me the wrong way. I think it has a very conflicting and misleading message; one that doesn’t really fit with what actually happens in the episode. I feel it spends too much time on Homer and how “he treats women like objects,” when that really wasn’t even an aspect of Homer’s character to begin with. 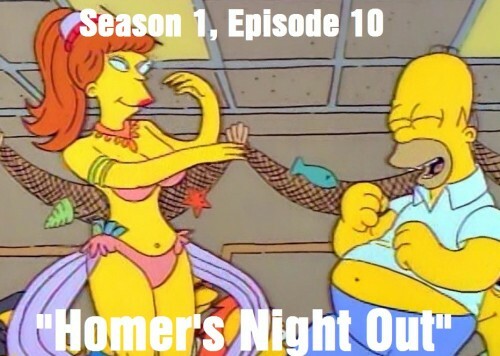 It’s a good moral, don’t get me wrong, but what the entire conflict boiled down to was the fact that Homer got his picture taken with a belly-dancer at a bachelor’s party, and Marge misconstruing it as Homer being a pig who sees women as entertainment and not people too. The entire conflict could have been avoided if Homer told the truth and explained the circumstances of that meeting and if Marge gave Homer that chance to explain. Overall, I don’t think it’s a bad episode, because it does have a good message behind it at the very end, but this was probably the wrong plot to do it with, just because there were other factors involved. 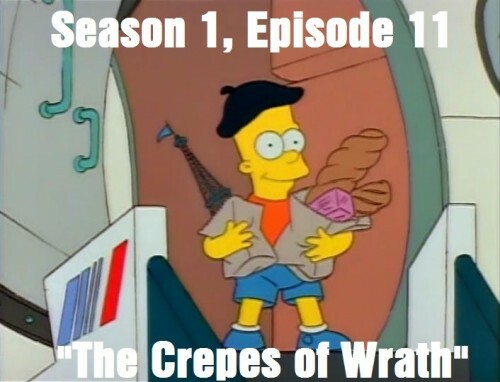 I think my biggest problem with this episode is that there is too much “filler.” I know that might seem weird to say, in a Simpsons episode, but in basic terms, I was more interested in seeing the ramifications of Bart’s actions for what he does in this episode (something that really isn’t shown) as opposed to seeing The Simpsons go to the opera and have nothing really progress in the story. Again, it’ not bad, just a little underwhelming compared to other episodes in the season, and that’s saying a lot when you consider this is the first season. It felt strange having this one so close to the bottom for me, for how iconic the final act of the episode is, but again, I just like the 3rd act. The first two acts are incredibly underwhelming and I don’t think it’s necessarily worth the full pay-off. Homer spends so much of the episode trying to get his family to act in a certain way when he’s no prize pig himself and it just comes off as being incredibly redundant and not very exciting. 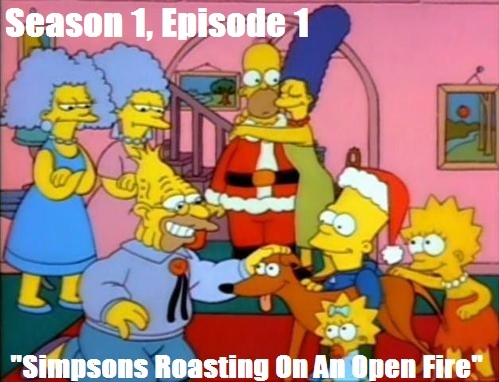 This is an episode I normally have on as background noise until the final scenes of the episode at the family therapy center, because that’s the one part of the episode that really gets my attention; for just how iconic, hilarious, and perfect it is as an episode resolution for the Simpson family. If you told me that this episode wouldn’t be in last place when I started this series, I would have not believed you. 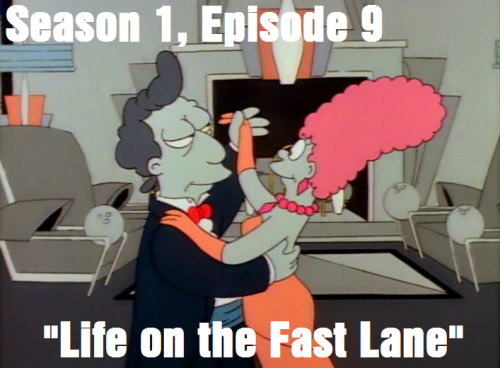 I’ve really come around to this episode a lot more since I reviewed it last year. The animation is really bad, and the first act is a struggle to get through, but once the Babysitter Bandit plotline starts, things really pick-up and I’m suddenly invested in the plight of the Simpson children. Heck, even the storyline between Marge and Homer is decent once it gets past that first roadblock, as it shows that despite their issues, they do really care about one another and they are a good match for each other. This episode is still in the bottom third of the season for me, but I’ll give it a break and say it’s not the worst of the season either. This is a nice episode, but again; it’s just nice. There aren’t a lot of jokes and it’s definitely more targeted at going for an emotional response instead of a humorous and entertaining one, and for the most part, it does accomplish what it’s trying to do. With that being said though, I’d still say it’s on the weaker end of the season. Honestly, I would have almost preferred the B-plot of Homer, Bart and the video game boxing to be substituted with more of Homer and Bart trying (and failing) to cheer Lisa up, to showcase a little more of that family dynamic and to do more character building in general. That way, we could have got some more character development in exchange for what was essentially filler. Lisa Simpson is a character that will get some excellent episodes in the future, but as it stands right now, I wouldn’t say this is one of them. It’s good, but not great. This is a very adult episode; meaning that it could be a very uncomfortable watch for a younger viewer seeing this one for the first time. However, with what it sets out to do, I think it does a good job with it. Albert Brooks steals the show with his role as Jacquez, the very flirtatious bowling instructor who tries to woo Marge. Homer, despite initially showing himself as a selfish man who only thinks of himself, comes through with a very heartwarming performance at the end, and you do get the feeling that the Homer and Marge marriage will be fine moving forward (until future seasons mess it up, but that’s neither here nor there). It definitely puts the fear of “will this marriage be destroyed?” in the minds of those who watch, and while that can be a hard thing to stomach, it’s something you have to watch and analyze a few times to see how it actually works pretty well as an episode. You could say that’s a detriment, that it takes a few watches to fully comprehend, and that is something I heavily considered in this placement, but thankfully the Simpsons is a very accessible show via television re-runs and of course the Internet and Simpsons World, so although I wouldn’t say that it makes the point completely null and void, it did give me confidence placing it where I did. Right in the middle of the pack is exactly where I expected this episode to be. It’s got some great jokes, and overall isn’t a bad watch by any means, but I feel like it doesn’t do anything outstanding or ground-breaking either. 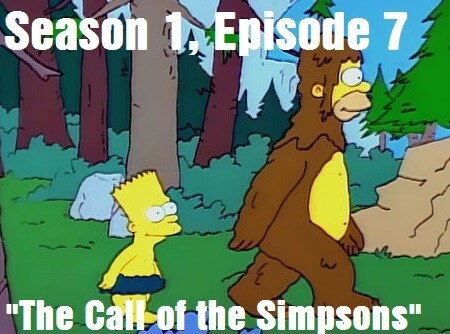 The Bigfoot development at the end is a little silly and the episode as a whole can be a bit all over the place, but I think it gives a pretty good idea of what The Simpsons is all about if you show this episode to someone for the very first time. The rabbit toss animation is still one of my all-time favorite Simpson gags, and is something that needs to be seen to be believed. This is another episode that kind of surprised me with how I high I ranked it. The episode is probably the most “all over the place” episode of the entire season. 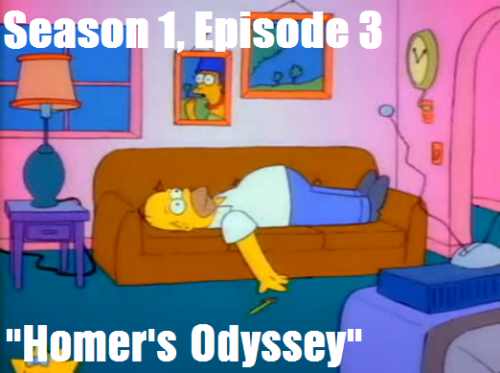 It starts with a school field trip, continues with Homer being miserable about losing his job, and ends with Homer being a safety tycoon for the city; while somewhere in the middle of all of that is a plot point where Homer contemplates committing suicide…so a very constant shift in tone throughout the entire episode. As I mentioned in the review however, I think this episode is iconic for all that it introduces to us. The characters, the locations, the gags and freeze frame jokes, Homer’s Nuclear Power Plant job…there’s a lot you don’t realize that this episode brings to the table until you look at it from an analytical perspective, and that’s something that really caught my eye when I was going through this season. This is a pretty dark episode when you really break it down, but I think it works because you really start feeling bad for Bart with what he has to go through here. You start to root for him so he can break free of what is, basically, wine-making slavery, and the ending is overall, a very satisfying conclusion. I also really enjoyed the B-plot and Homer’s ignorance of the Albanian spy the family unknowingly took in from the exchange program, as it really sets up and shows how unaware Homer is at the situation and the world around him. As a bonus, I don’t feel like the writers overdid his own stupidity either like they would in later seasons. Overall, it was a pretty satisfying watch and I do like what we got here. Not only is this the first holiday episode of The Simpsons, but it’s also the first full episode ever broadcast on live television. It’s nothing amazing or groundbreaking as it’s a pretty standard affair when it comes to Christmas shows and holiday specials, but this is an episode I’ll still go out of my way to watch every year around Christmas time. It’s traditional, it’s iconic, it’s a safe, but good story, and I’m finding it hard to find anything to really hate about this one. Because of that, I think it easily belongs in the top five of Season 1. I have to give the writers a lot of credit for this one, because they perfectly described and depicted what the power of a guilty conscious can do to someone. 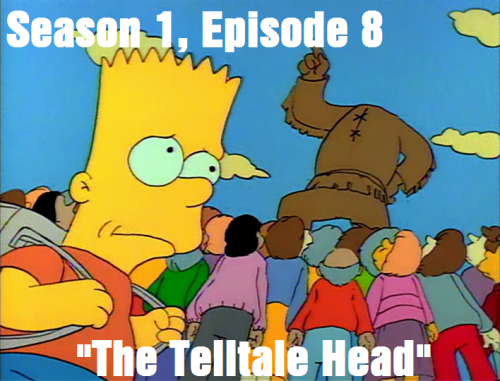 Even Bart Simpson, America’s bad boy, knows when he has done something wrong, and when he cuts off a statue’s head of the beloved town founder and cheeses everyone off in the process; he damn-well knows he did something wrong. The way he feels the guilt for what has done in this episode is incredibly powerful. He feels the anger and the sadness from every single person around him and even though he tries to cope with the guilt for as long as he can, it catches up to him and he knows he has to do the right thing and come clean. It’s a very well-written story and I think this episode is a strong foundation for the excellent writing this series is known for (at least in the early seasons anyway), and it shows from how often this episode is referenced by people. Heck, even South Park referenced this episode in their episode humorously titled; “Simpsons Already Did It,” it’s that iconic and well-known as an episode. It’s not my favorite of Season 1, but I’d be lying if I said it wasn’t up there, and that’s why it gets the #3 position. I ultimately landed on this being my favorite episode of Season 1 just because of how unique and special this episode was at the time of its airing. Not only was this episode a “mystery solving” episode where the viewers watching could also try to solve the puzzle as the Simpson children did, but it’s also a story that isn’t about the Simpson family, but rather a television clown that Bart and Lisa happen to watch on TV. In other words, they spend an entire Season 1 episode on a secondary character. 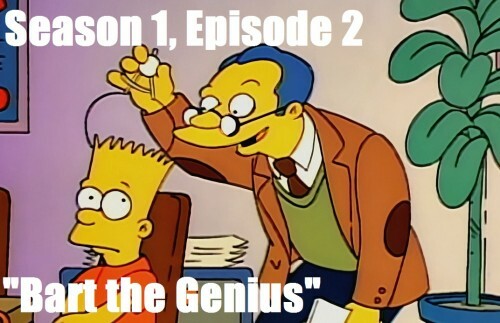 Sure, the episode focuses on Bart trying to prove the innocence of his favorite TV hero and inspiration, but it also spends a good chunk of the episode talking about Krusty the Clown and his history in order to lay the foundation and the groundwork for the mystery at play, and setting-up a recurring villain for not just Krusty the Clown, but also for the Simpson children, in the form of Sideshow Bob. The fact that not only did the show writers get away with such a unique episode format for their first season, but the fact that it laid the groundwork for a couple of very different and very important things. 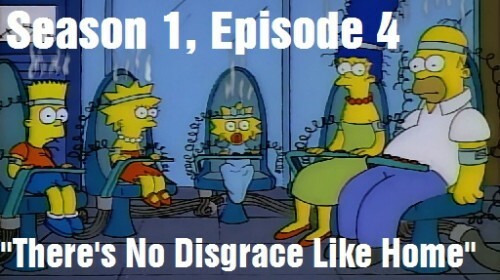 For one, it introduced us to Sideshow Bob and Sideshow Bob episodes in general. Sideshow Bob is a very well-loved guest character in the Simpsons lore and some of the Sideshow Bob episodes are the highest rated of the entire series. Heck, I’d even go as far as to say that Cape Feare is probably one of my favorite episodes of all time. Second, it introduced us to the idea of secondary characters taking the spotlight in their own episodes and plot lines. Whether you are talking about Krusty the Clown, Apu, Chief Wiggum, Mr. Burns, Moe, etc., the Simpson’s world has an incredible cast of secondary characters, and the fact that they can share the limelight with the main family of the show is a huge testament to their range and the talented voice work behind them. 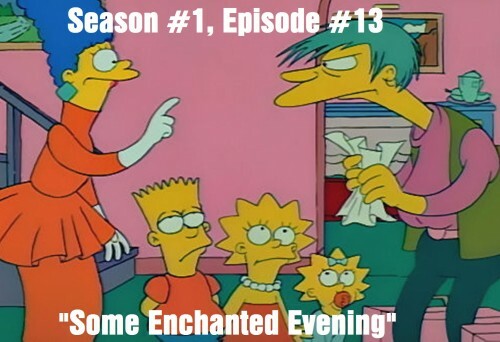 Finally, the episode introduced us to the idea of experimenting with different types of episode formats. As I described earlier, this is a mystery/crime-solving episode…in a series that’s supposed to be a take on the American family. It’s creative, it’s smart with how it goes about executing its format, and the fact that I can still watch the episode, many years later, and still be entertained despite the fact I’ve known the answer to the mystery for those many years; just goes to show how well this episode was written and executed. 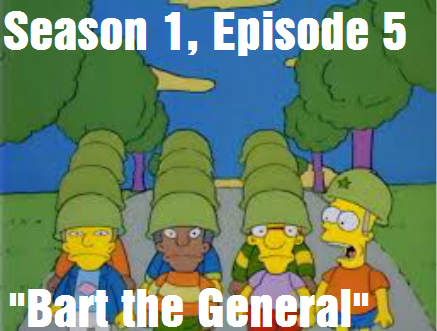 It’s also just a really good and funny episode from the very beginning; with Homer taking a very cowardly dive into a pile of snack treats when he sees the criminal at the Kwik-E-Mart, all the way to the very end with Sideshow Bob screaming to treat kids as equals because they are smarter than everyone thinks. It’s just a really good episode and an episode I will most certainly watch if I ever catch a rerun on TV. 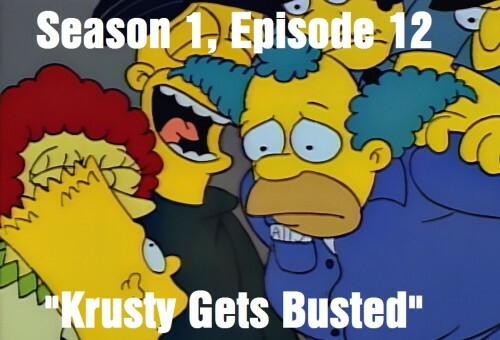 And this is why I say “Krusty Gets Busted” is the best episode of Season 1. Well guys, that’s going to do it for my Season 1 wrap-up! Next week, I will have my very first episode write-up for Season 2! I’m not going to announce any exact dates just yet, because I do have a lot of things going on and I don’t want to make any promises I can’t keep, but it will be during the week at some point and you can pretty much expect these write-ups to be done on a weekly basis…or at least that’s the plan for right now anyway. If I feel incredibly inspired and want to work on two at a time or something, I will give it a shot, but there might be times where I just don’t have the time to commit to it either, so…we’ll see. That’s all I can really say right now. See you all for Season 2, which hopefully starts next week!